Unique interior accommodation which has been designed with overnight accommodation for the owner plus four guests with two en-suite bathroom with separate shower. This unique sports cruiser encompasses a sporty feeling aboard with careful attention to detail and strives to perfect comfort for owner and guests. This unique sports cruiser encompasses sporty feeling aboard with luxurious 2 cabin interior with attention to details and strives to perfect comfort for owner and guests. 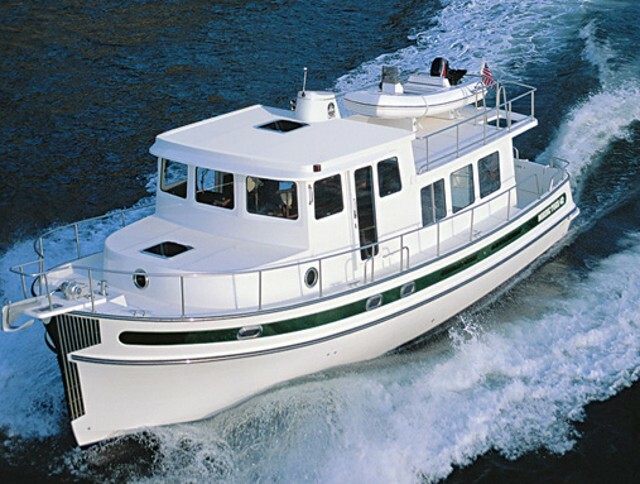 The Castro designed hull is an assurance for superior seaworthiness and safe voyages. The helm position is focused on ergonomically positioned navigational equipment and for best viewing angle and large sliding roof which when opened can give the helmsman feeling of cruising with open sport boat. 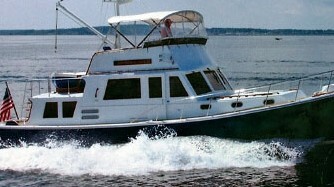 Cockpit has generous layout with settee and large folding table on the starboard side providing seating and enjoying for owner and guest aboard Elan Power 42. 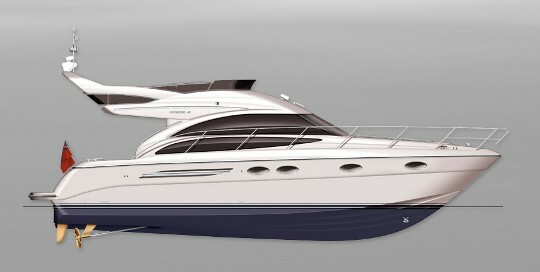 The hull of the Elan Power 42 is a development of previous designs with extra beam to accommodate spacious interior. Particular attention was given to the design of the spray rails for effective spray deflection. 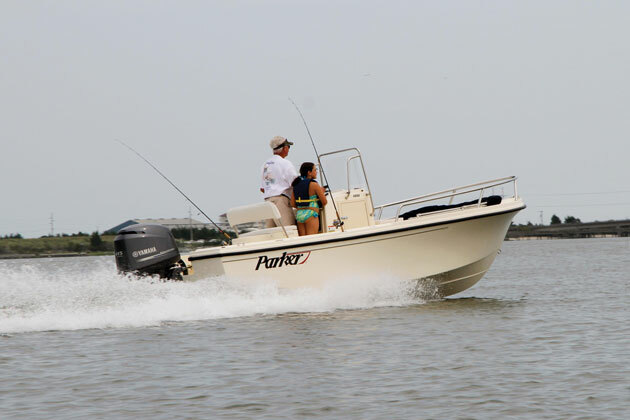 The hull shape has a deep V to reduce slamming and give smooth ride in a head sea. The hull design parameters have been balanced and optimized to produce a hull with excellent sea keeping properties, to ensure a safe and comfortable ride over a wide range of conditions. 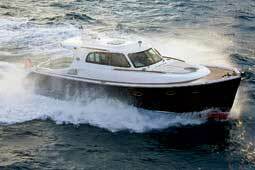 The engine options are the well known Volvo Penta D6 series of Volvo stern drives giving a max speed of 36 knots. Long autonomy is assured by 1000 liters of fuel and endurance of 11 hours which is more than competitors. Beside very large access to the engine room hatch Elan Power 42 offers also day-to-day hatch for daily check outs of the engines. Elan Power 42 features unique interior accommodation which has been designed with overnight accommodation for the owner plus four guests and single en-suit bathroom with separate shower. Interior is finished with high gloss American Cherry wood and gets natural daylight from ten portholes and deck hatches. Saloon offers comfortable seating for six and optional LCD television with DVD player for entertainment onboard. Generous galley is equipped with kerrock worktop, hob, microwave, refrigerator, extractor fan… The cockpit area aft is very spacious and extends across the boat you can have a sun bed on one and seats on the other side at the same time. Another permanent sun bed is fitted on the foredeck. The outside galley on the starboard side contains fridge, sink and optional grill.